Market Research is essential to understanding our members, what they want from bridge and their views of the bridge experience both at club and tournament level. Research is also important to attracting new players, teaching and converting them into ABF members. The ABF Marketing Survey 2018 is an online survey of 1,700 bridge congress players with email addresses on the Pianola Events data base. A great response was received from over 500 players and more than 50 percent provided additional Comments and Suggestions. 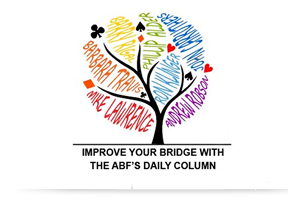 Research with 170 existing ABF members at the Summer Festival of Bridge in January 2011 by way of a questionnaire. Research with participants at Youth Week was undertaken in January 2011 by way of a series of one-on-one interviews and also using questionnaires. One-on-one interviews with 12 social club players (Brisbane). A questionnaire was forwarded to all affiliated clubs in March 2011. Information from this process has helped to inform strategies developed by the ABF National Teaching Coordinator and also issues outlined in the marketing tips developed for our clubs.